Here at Charity For Kids we dedicate our activities to helping sick, disabled and terminally ill children and their families all across Hastings and Rother. Since we were established in 2011 we have helped many local children and their families with various items ranging from simple gadgets to help with everyday tasks, through to bespoke wheelchairs and full-on construction work. Please meet some of the children we have helped below, and read their stories. If you think we might be able to help you, your child and/or your family, please download and fill in our application form or get in touch here. Neisha was a budding gymnast from the age of 4. From 9 she started kickboxing and trampolining. However at the age of 11 her elbows started to fragment. Thankfully the bones did fuse and after a year in an arm brace she started back at her sports. At 12 she started getting pain in her knees and it was found that the cartilage in this area was breaking up. This left Neisha on crutches for 9months and then in a wheelchair and stripping her of the activities she loved. Neisha was diagnosed with Connective Tissue Disorder and Hypermobility Spectrum Disorder. Neisha has now been in a wheelchair for 16 months and aswell as her elbows and knees these conditions now also affect her hips, pelvis, ribs and jaw leaving her in a lot of joint pain. Her wheelchair she was prescribed was very heavy and had a high back. Charity for Kids purchased a lightweight low back wheelchair with an all-terrain wheel for Neisha allowing her some independence and freedom to move and giving her back the confidence she had lost. Violet is a sweet, determined warrior princess. She has Quad Dystonic Cerebral Palsy and a rare chromosome disorder but this doesn’t stop her smiling. We were delighted with your help to provide her with much need trike to she could enjoy trips out with her family. 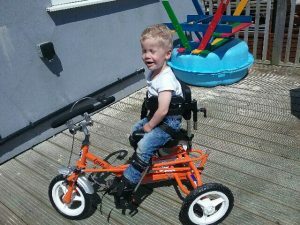 Spencer is 3 years old and the family contacted us in April 2016 to help out with a trike. Spencer suffers from William Syndrome and has difficulty in all aspects of life and we were delighted when our Isle of Wight riders agreed to fundraise to meet this application. 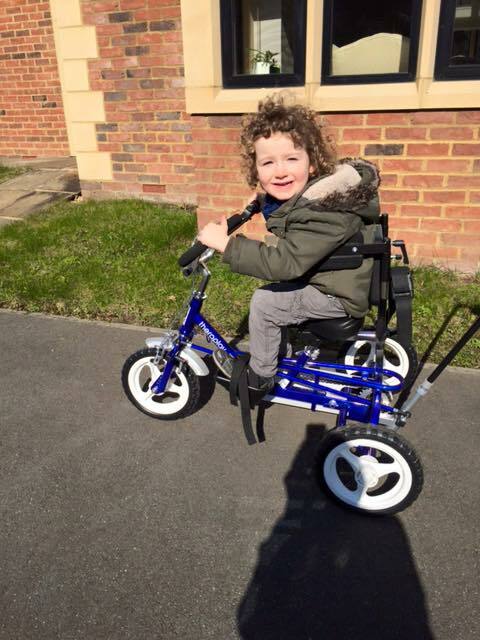 Morgan’s family got in touch in March 2016 with CFK to help our with a Tomcat trike, which will help Morgan enjoy himself when out and about with his family. Morgan suffers from multiple epileptic fits every day, sometimes up to 100 a day. Thanks to Commando Fitness UK who hosted a fitness camp, we were able to meet this grant. 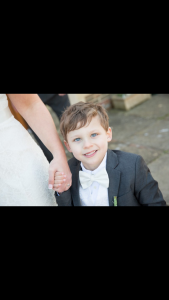 Nate’s family contacted us in December 2015 to see how if CFK could help out with a trike. We were delighted to meet the grant help the family when they out and about in making Nate mobile. Your donations helped us achieve this! Amber-Rose, from Ore – Hastings, was 3 when we helped the family. Amber has many complications, one of which is a condition called Central Sleep Apnea, which meant she was unable to walk & communicate. Amber-Rose also suffers with seizures, which are not related to epilepsy and are currently being investigated by the London Hospital. Amber-Rose also has very lax ligaments and low muscle tone so it is a struggle for her to move around and is unable to speak. Charity For Kids, with the help of the Hastings Fire Brigade, erected a deck area & landscaped the family garden to give Amber-Rose a safe, flat surface to assist her mobility. We have also provided Amber-Rose with an iPad to help her communicate. Amber-Rose is now walking short distances unaided. The funds raised to help Amber-Rose came from the Three Peaks Challenge (Ben Nevis, Scarfell Pike & Snowdon) we completed in 2011. Bailey, from St Leonards, was 4 years old when we helped the family. Bailey suffers with Quadriplegic Cerebral Palsy, Severe Microcephaly & is also registered blind. Charity For Kids funded a Hot tub & Conservatory Housing which allows Bailey to have Hydrotherapy all year round in the comfort of his own home, which helps dramatically with much needed physio and relaxation. We have also funded a holiday for Bailey & his family. 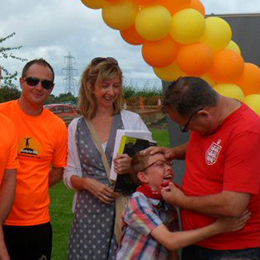 The funds raised to help Bailey and his family came from the 2-way Relay Channel Swim we completed in 2013. 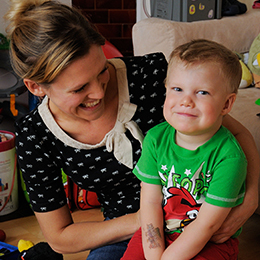 In 2015 we have continued to support Bailey and his family by providing respite care. 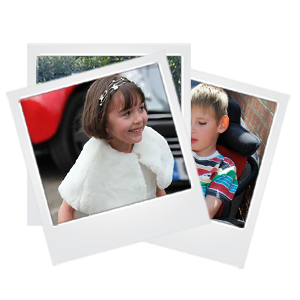 Isabelle, from Hastings, is 7 years of age and suffers with Diplegia Cerebral Palsy which means she is unable to walk. 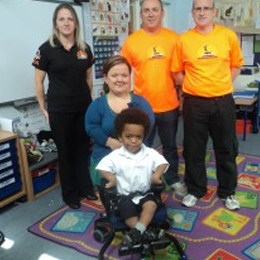 Charity For Kids Funded a specialist, custom-made wheel chair for Izzy. The wheelchairs issued by the NHS are too heavy for Izzie which makes it too hard for Izzy to self-propel. 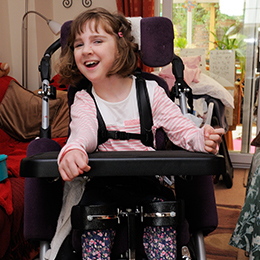 Having this wheelchair custom-made, specifically for Izzy now gives Izzy her own independence. The wheelchair was funded by Chris Haines’ Commando Fitness Team who raised the funds by taking part in the Hastings Half Marathon. Since receiving this help, Isabelle & her Sister have themselves raised funds for Charity For Kids by taking part the Westminster Mile race in her Wheelchair. Nicole Martin, from Winchelsea Beach, was 16 years of age when Charity For Kids helped her. Nicole suffers with Neurofibromatosis; a condition that causes hundreds of tumors to grow along her nerves. Nicole is a keen sportswomen and does not let the condition get in her way! 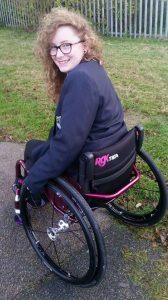 Charity For Kids funded Nicole with a specialist, custom-made sports wheel chair, which now gives Nicole her own independence & allows her to continue with her sports. In fact, Nicole has recently taken on a Tandem Parachute Jump to raise funds for Charity For Kids & 2 other charities! Dolcie Robertson (Dolly) from Deepdene Gardens in Hastings is only 3 years old and suffers with a condition called Cystic Fibrosis. Her Mum, Emma, contacted Charity for Kids last year when she heard about us via a friend on Facebook. Cystic Fibrosis is a hereditary disorder affecting the exocrine glands. It causes the production of abnormally thick mucus, leading to the blockage of the pancreatic ducts, intestines and bronchi and often results in respiratory infection. People with Cystic Fibrosis have a poor life expectancy. Part of Dolly’s treatment was that 3-4 times a day one of her parents would have to give her very specific physio which would mean spending around 20 minutes holding her down and patting her side, chest and back (which was very uncomfortable for Dolly) which helps to clear the mucus as much as possible. Emma had heard about a specialised ‘Airway Clearance Vest’ via other Cystic Fibrosis sufferers and thought that this may be the answer to their problems. There was one issue though – the cost! Sadly the NHS don’t fund these vests and they cost £7000 – yes you read right seven thousand pounds!! Charity for Kids held a ‘Masquerade Ball’ at Azur in St Leonards last summer and the focus was to raise enough funds to enable the charity to fund this special vest for little Dolly. With the help of around 200 guests, a charity raffle and auction on the night Charity for Kids managed to raise over £7000 – giving us enough to fully fund the vest for Dolly. The vest is an amazing piece of kit that Dolly wears every day as it really helps with keeping the mucus clear. This in turn will reduce the amount of infections Dolly gets which will then help to EXTEND HER LIFE EXPECTANCY!! Summer Finlay from Red Lake Terrace in Hastings is just 2 years old and suffers from Spina-Bifida and Hydrocephalus. Summer’s Spina-Bifida means she is virtually paralyzed from the waist down and her Hydrocephalus is treated with a programmable VP shunt. On top of these problems she also has issues with her bladder and bowel which are associated with her Spina-Bifida. Because of Summer’s Spina-Bifida her main way of getting around is by army crawling on the floor – this obviously isn’t possible when she’s outside! Charity for Kids have recently funded a specialised self propelled wheelchair for Summer to aid her in her mobility and her independence. 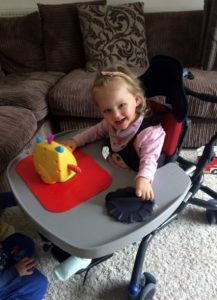 Summer has been seen by many different professionals who have all agreed she would benefit greatly from a wheelchair, however the NHS wouldn’t be able to fund this until she was at least 4 years old. When Summer’s parents, Shaun & Annmarie Finlay heard about Charity for Kids, via another family we have recently helped at a local physio group they attend, they contacted us to ask for our help. Charity for Kids were able to fully fund the wheelchair thanks to local people and groups that have taken part in various fundraising activities for the charity recently. 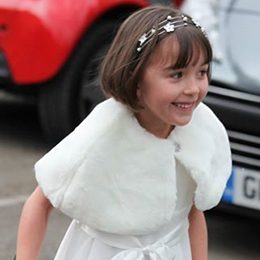 Molly Collins from Gillsmans Hill in St Leonards-on-sea has recently turned 5 years old. 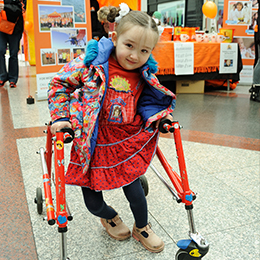 Molly has mixed type four limb Cerebral Palsy which means she is unable to walk unaided. Molly’s mum, Sarah, was recommended to Charity for Kids from a friend who also has a daughter with the same condition who we have helped fund equipment for. 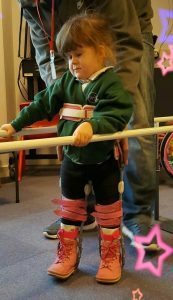 The main priority for Molly and her condition was to purchase a special suit, recommended by her physio, to help correct her posture. These suits cost over £700 to purchase! Charity for Kids were able to fully fund the suit with the help of local company, A1 Quality Homecare, who have raised money for the charity just recently. Based on the Ridge in St Leonards, A1 Quality Homecare ran a ‘dunk your boss day’ at the end of 2014 raising an amazing £3000! 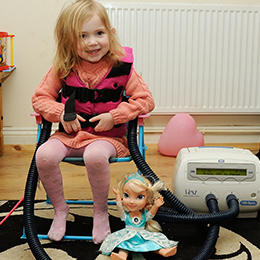 This not only fully funded the special suit for Molly, but also enabled Charity for Kids to help even more children by supplying the much needed equipment or items that aren’t financed by the NHS. 12 year old Katie Histed lives in St Leonards-on-sea. 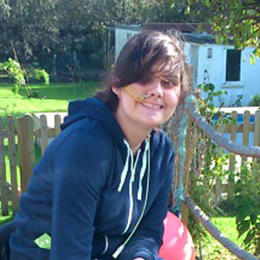 Katie suffers from Quadrapligic Cerebral Palsy and also copes with being deaf and has poor lungs. Since a hip operation in August 2013 Katie needs physiotherapy to help straighten her legs, and it was through her Physiotherapist that the family heard about us. We were able to buy Katie a special Scoliosis suit to help with both her physiotherapy and posture. 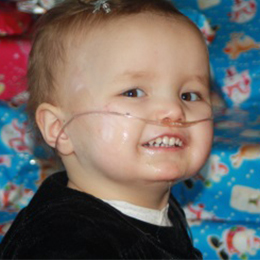 Katie‘s wonderful smile helps keep her family going with the 24 hour care that is required. Little Tommy Murfin is 3 years old and lives in St Leonards on Sea. Tommy was born with several difficulties as a result of 22q11.2 deletion syndrome and spent much of his first year in hospital. He had a fundoplication, hernia repair, pulmonary valve stenosis correction, gastronomy tube placement, neck and total gut rest on TPN, plus tube feeds were a constant distressing battle for Tommy and his parents. Severe dysphagia is the worst symptom of 22q11.2 deletion syndrome. He struggles to swallow (even his own saliva) and suffers with frequent pneumonias from aspirating. Tommy has a severe speech delay too. Although no learning difficulties he was becoming more and more frustrated. Dawn, an independent Speech and Language Therapist, amongst other aids used an iPad with him. It’s loaded with special grid player software which Tommy finds incredibly easy to use helping him with supported English. Despite all this Tommy is a very bright little chap but to enable him whilst at home without Dawn and the iPad, it was vital that he had access to a device of his own. Charity for Kids were able to give Tommy a brand new iPad to use in readiness for starting pre-school last month. Etienne Kourouma is 6 years old. Etienne suffers from dwarfism as well as neck and spine problems. Although Etienne settled in well at school he still had a few obstacles in his way which knocked the little man’s confidence. So Charity for Kids helped raise some additional funds that were needed to equip him with a Wombat high/low activity chair size 1 with electric power. 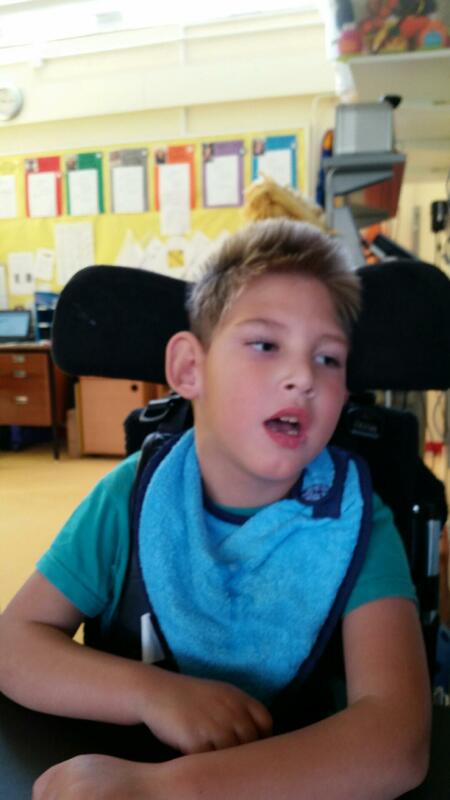 Since Etienne has received his special wheel chair his Mum says “he comes home from school with a smile every day, he is able to sit with his friends at lunch time – Etienne is a different child! 10 year old Joshua Smith has Diplegia Cerebral Palsy and communicates using Makato signing. Joshua is a keen communicator and becomes easily frustrated when he can’t express himself properly. He desperately needed an ipad with special communication apps. By funding this much needed device Charity for Kids has helped increase Joshua’s confidence in social situations, when communicating with new people and just out and about in general. Isabel and Iris Law are 6 month old twins. 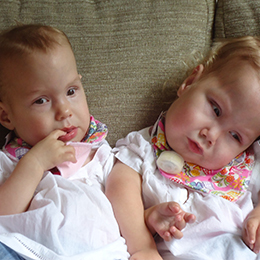 They both have Cerabral Palsy along with delayed development, Diabetes, Tracheostomies and Gastrostomies. Charity for Kids gave the girls’ family a new table top fridge to keep all of their medication in one place which makes life easier for Mum. Henry Walker is 2 years old and has Diplegic Cerebral Palsy. One of the conditions includes lack of balance and co-ordination, and the inability to walk long distances without pain. 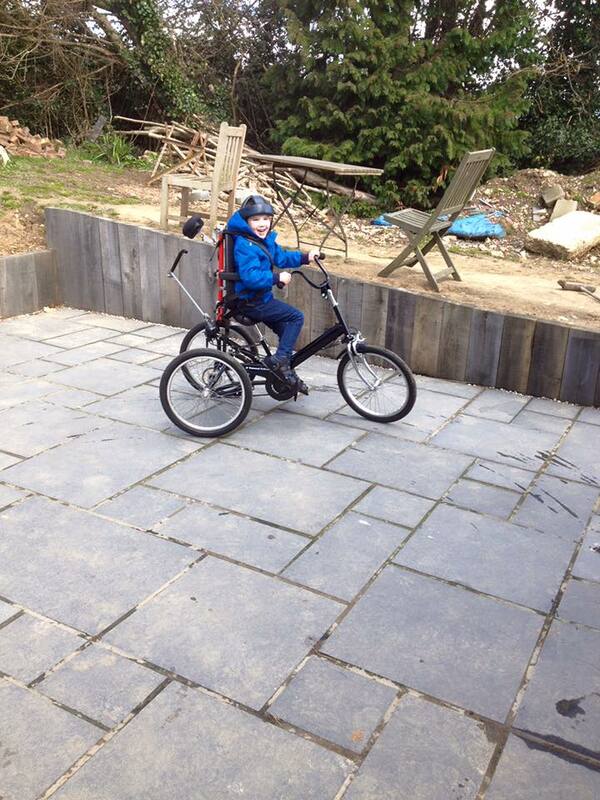 Henry’s family wanted to raise funds to purchase a specialist custom built tricycle. The trike would help Henry’s balance allowing him to build strength in his legs with gentle exercise. Henry’s family held a race night in 2013. Charity for Kids contributed towards the cost of the tricycle along with the funds being raised by Henry’s Family; unselfishly they donated the extra back to Charity for Kids. Daniel Burford has Auditory Processing Disorder, resulting in a wide range of debilitating issues including problems with auditory memory skills, following verbal directions and understanding language, significantly delayed and disordered receptive and expressive vocabulary skills and difficulty with sequencing skills. To help Daniel with his communication Charity for Kids equipped him with an iPad, giving Daniel so much more freedom allowing him to express himself and communicate with his friends and family. Chase Wells has diplegic Cerebral Palsy. One of the conditions is a lack of balance and co-ordination as well as the inability to walk long distances pain-free. 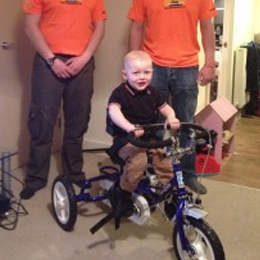 To help Chase the family wanted to raise funds to purchase a specialist custom built tricycle. In 2015 the family approached us to see if we could assist with physiotherapy that was needed in 2015/6. We were delighted to be able to meet this grant. Friends and family of Chase took part in an event called Tough Mudder to help raise the much needed funds. In 2016 they also look to host a football tournament for Charity for Kids. In 2017 we continue to support Chase with the therapy he needs. 16 year old Calum Taylor suffers from Autism and severe learning difficulties. He finds communicating with people very difficult and is unable to express how he feels or ask for what he wants. Calum works much better with pictures. Charity for Kids have funded an iPad Mini with a protective case and most importantly a specialised communication ‘app’ that he can use to communicate with his family, friends and carers. This help will open doors for Calum and help him express how he feels, make his own choices, rather than people assuming, and make himself understood which will relieve stress, anxiety and frustration.